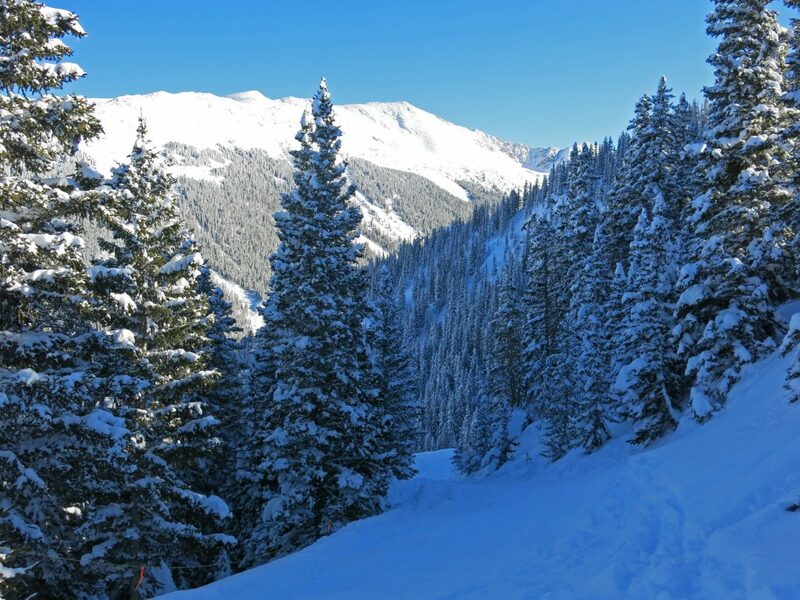 Taos is a wonderful place to experience a unique mixture of Austrian and southwest ski culture. Taos was founded by the legendary Ernie Blake back in the 50’s, and there are tons of unique stories and features of the resort that come straight from him and his family. 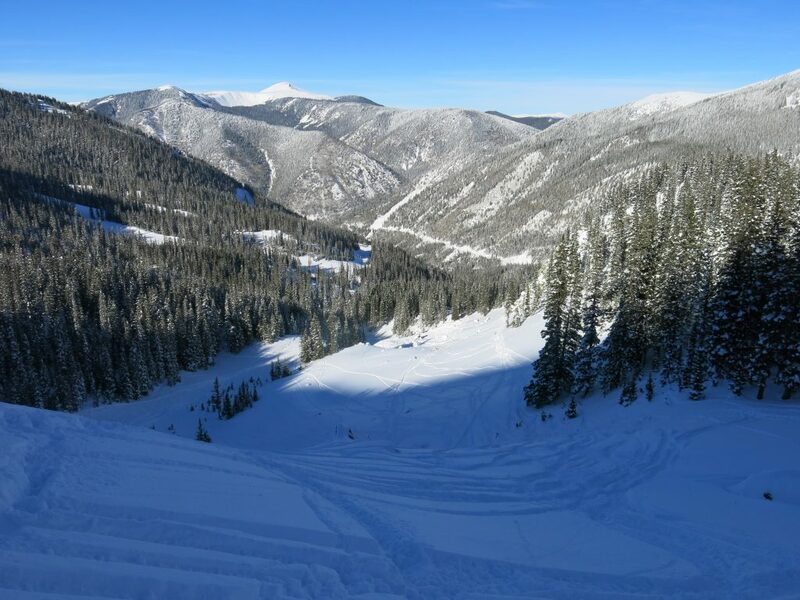 Every serious skier should take the time to visit this iconic resort tucked away in a remote canyon in Northern New Mexico. I grew up in New Mexico and Taos was one of my family’s favorite destinations. When we first started going in the late 70’s, Ernie Blake was still frequently seen around the base area talking to guests. My father actually talked to him one day and loves to tell that story. Flash forward to 2016 and the core legend of Taos is still intact even though Ernie is gone. They still have a sign at the bottom that says “Don’t Panic! You are looking at only 1/30th of the resort. We have many easy runs too.” The sign is there because the runs at the bottom would all be considered double-black at most resorts and that’s the first thing you see when you arrive. I remember the fear that view inspired when I was 12 or 13. When AiRung and I went in January 2016, Taos had received about 175 inches of snow with about 3 feet of it falling in the days just before we arrived. It was super cold which kept the snow in great shape and it was some of the best snow I have ever experienced there. We were lucky because after that, the entire rest of the season they got only another 20-inches or so. 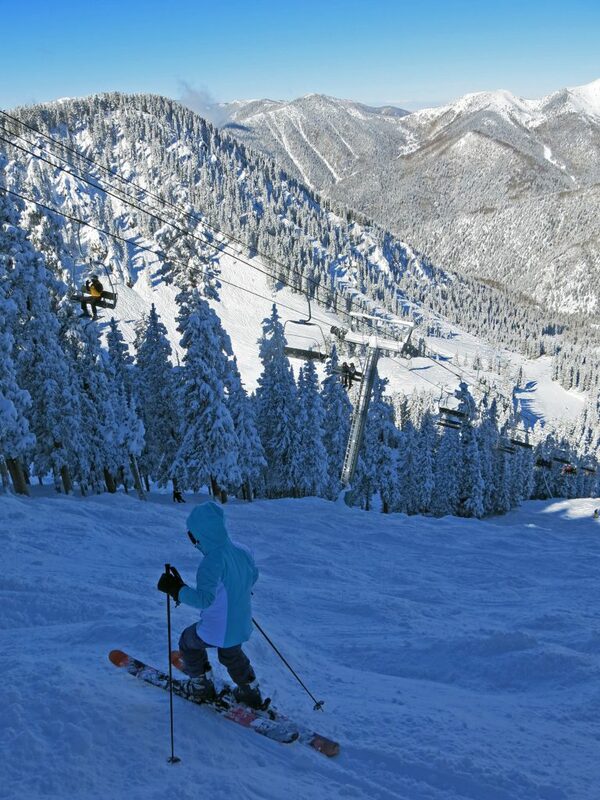 That is all too common at Taos unfortunately, so if you want to go, watch the weather and jump on it when it’s good. Everyone starts at the same base area and has to ride one of the 2 chairs that go straight up Al’s run. Al’s is a famous bump run where you can strut your bump skiing skills right in front of hundreds of people riding the slow chairs. I remember back in the 80’s one guy who was famous for JUST skiing that run, time after time. Al’s is named after Ernie Blake’s friend Dr. Al Rosen who used to ski the run with the aid of an oxygen tank after developing a heart condition. I need an oxygen tank to ski that run and I’m perfectly healthy! From the top, Porcupine is a great groomer and the one major blue run in that pod that runs top to bottom. However, most people will take that down to chair #8 to ski the longest intermediate runs on the mountain Lower Stauffenberg and Firlefanz. 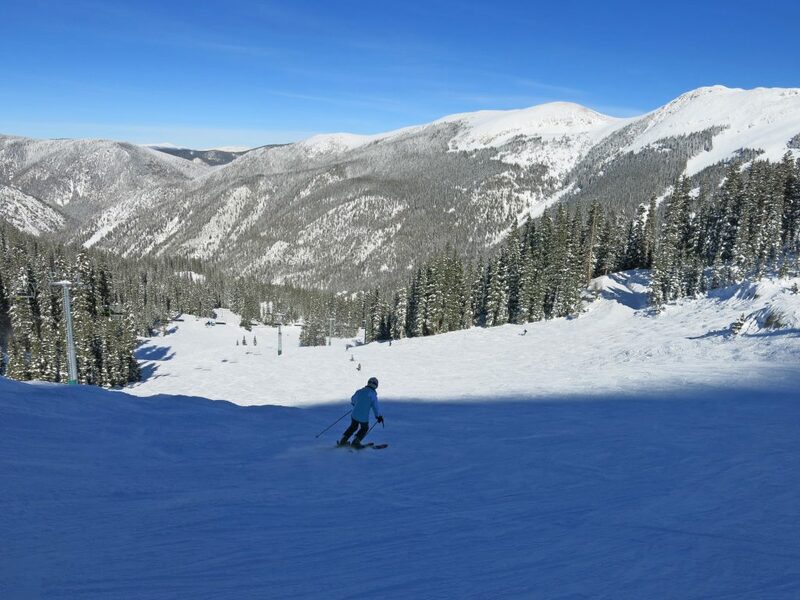 Also available from the top of Al’s run are 2 of the longest most difficult bump runs in the Rockies: Longhorn and North American. If you can ski either of these without stopping you are definitely ready for the Ironman competition and don’t need an oxygen tank. Also on the front side, lifts 2 and 6 are another pair of lifts that for some reason parallel each other and go to the same place. 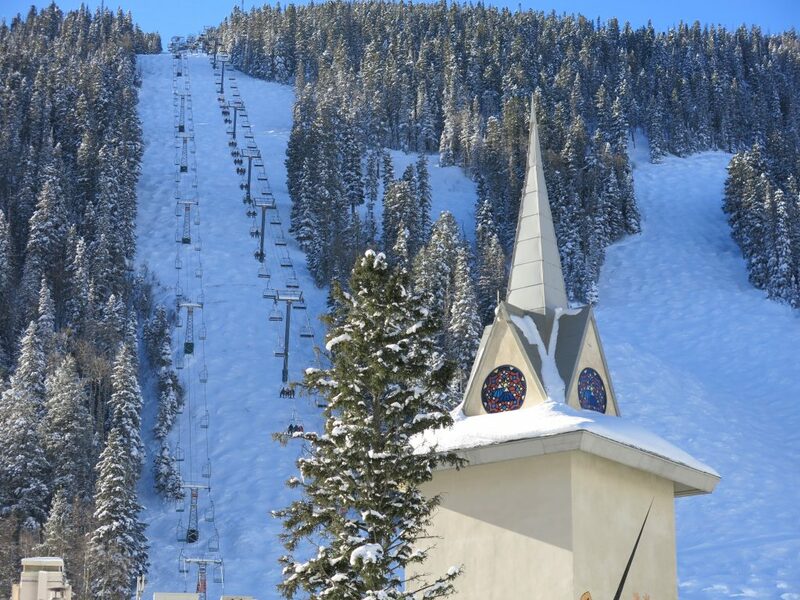 So although there are 13 lifts at Taos, there are only 7 actual ski pods that aren’t training lifts. 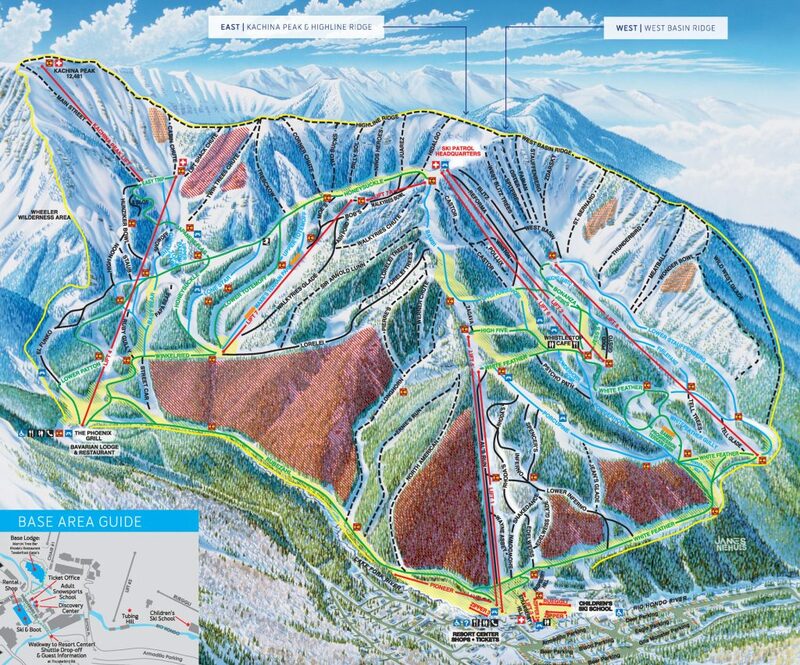 Lifts 2 and 6 serve mostly double-black terrain. There are 2 black runs (that would probably be double-black at most resorts) and one blue “Bambi” that back in the day was rated green when I was skiing there in the 80’s. We skied “Reforma” and it was a serious challenge for AiRung with the big moguls and pushed-around snow. The back side has 3 ski pods and 2 of them have a smattering of blue and green runs that are the most popular on the mountain off chairs 4 and 7. 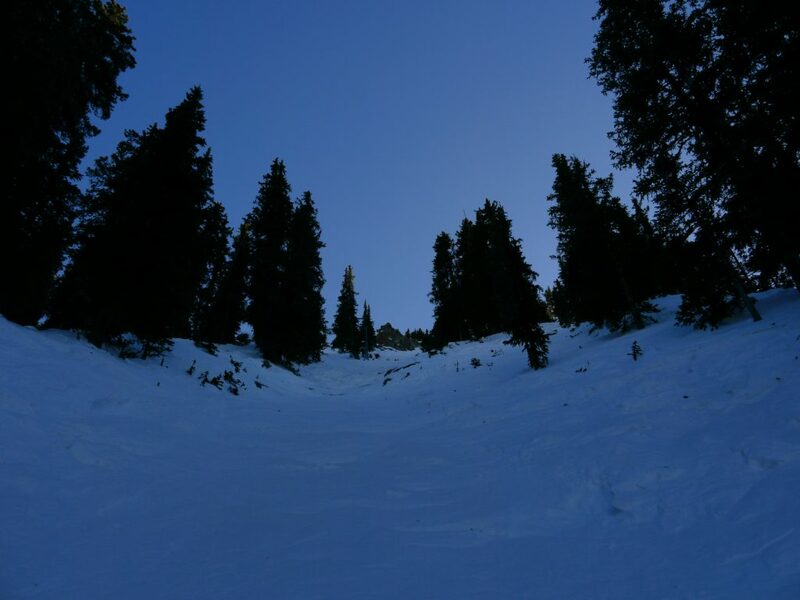 There are also some short advanced bowls like “Hunziker Bowl”, “High Noon”, and “El Funko” that are good places to hunt for hidden powder stash’s. 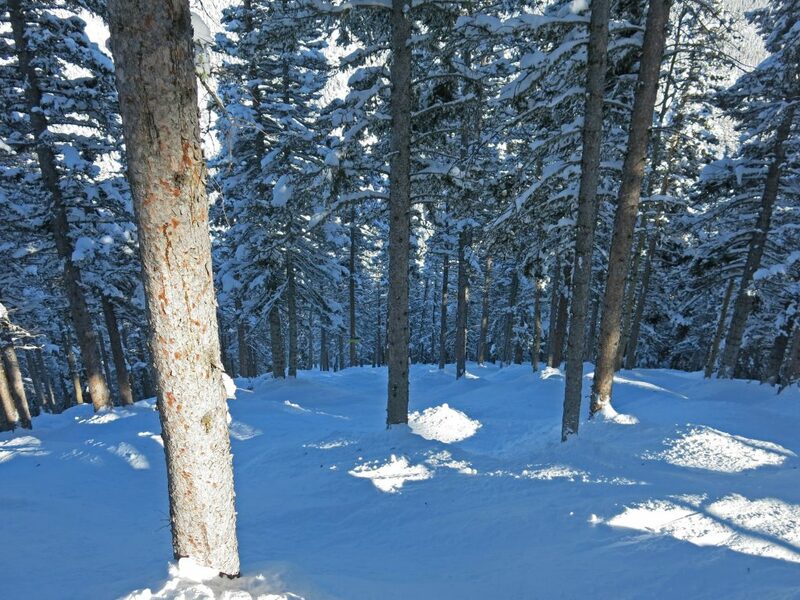 New for the 2015/16 ski season is the Kachina Peak lift, which goes to the highest elevation of the resort and serves high altitude, open terrain. Some of this is very steep and it’s all pretty spooky. This used to be hike-to terrain that took over 45-minutes to climb from the top of 2 and 6 but the new lift has made it accessible to everyone who can handle the terrain. Along the ridge to the west, and normally accessed by hiking from 2 and 6 is “The Ridge”. On the west side you have the West Basin area that has more of those steep avalanche chutes that I’ve only skied from the top a couple of times. The ones to the east are easier until you get over to Tresckow which is as far as I will go. Twin Trees Chute is just too steep and narrow. 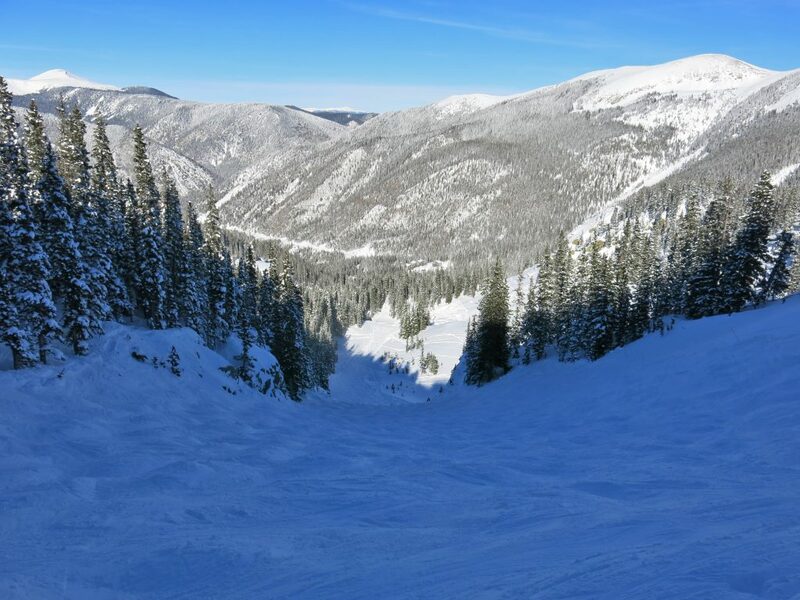 There is so much fantastic terrain at Taos you might not have time to eat, but there are a number of options if you do. The resort food is typical cafeteria fare for the most part, but the non-resort restaurants are something special. The Bavarian Lodge at the base of chair 4 has authentic German food. At the main base area, try the Hotel St. Bernard for unique upscale offerings if you can get a table or seat at the bar. 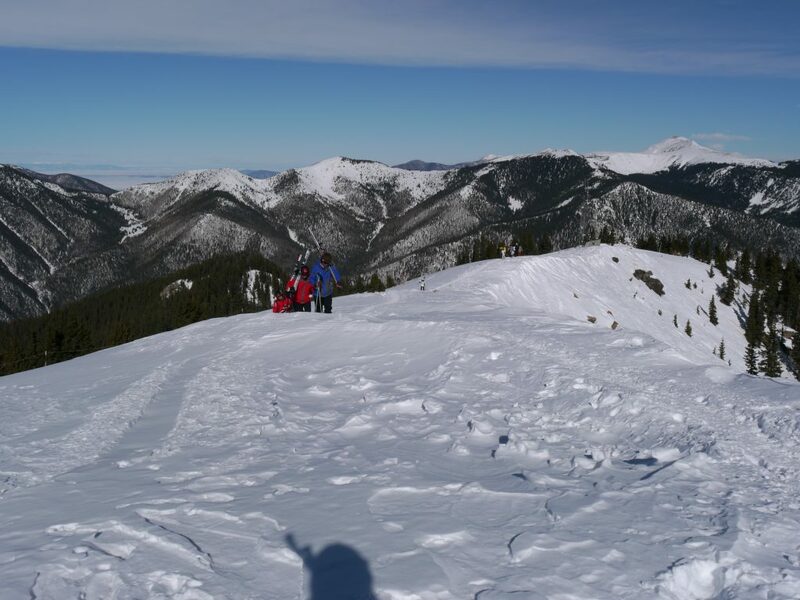 Taos is extraordinarily steep and difficult and there are several runs I’ve never skied. Maybe next time we go I should sign up for a Ski Week. 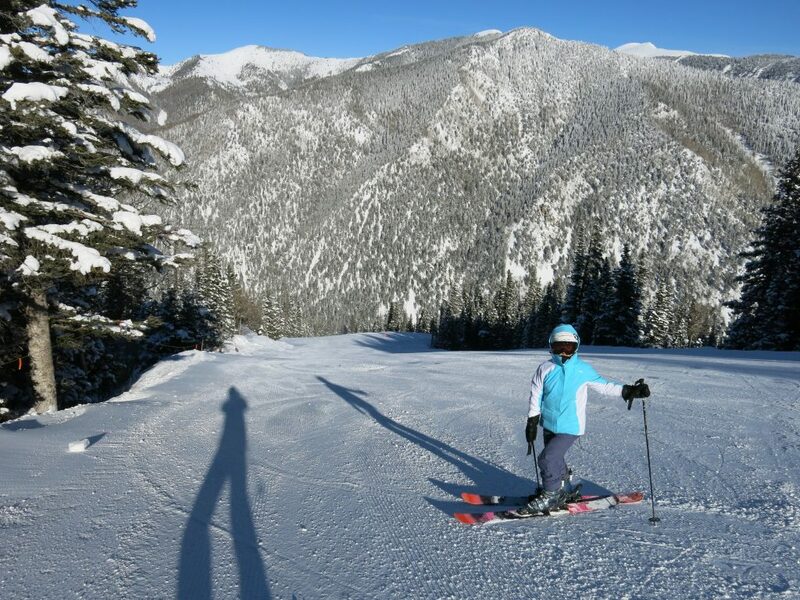 These are famously popular at Taos and you will encounter groups of ski school ski weeks all over the mountain. They are probably the cheapest lessons on a per-day basis you can ever sign up for as well. We talked to someone who was in one and they love it so much they come back and sign up year after year. Down-valley from the resort is the town of Taos. This has cheaper lodging and eating options and is where we stay. It also has an authentic spanish colonial square with all kinds of shops and restaurants. 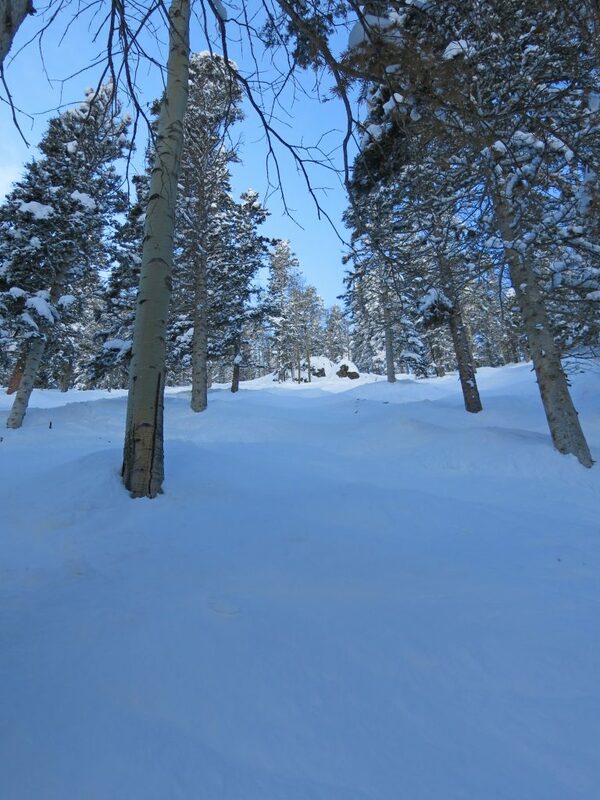 It’s fun to walk around there after skiing to experience the Northern New Mexico food and culture. Taos is iconic and worth a visit if you can make it work. Just bring your steep skiing skills and your sense of adventure and prepare to explore some of the greatest steeps in the country. 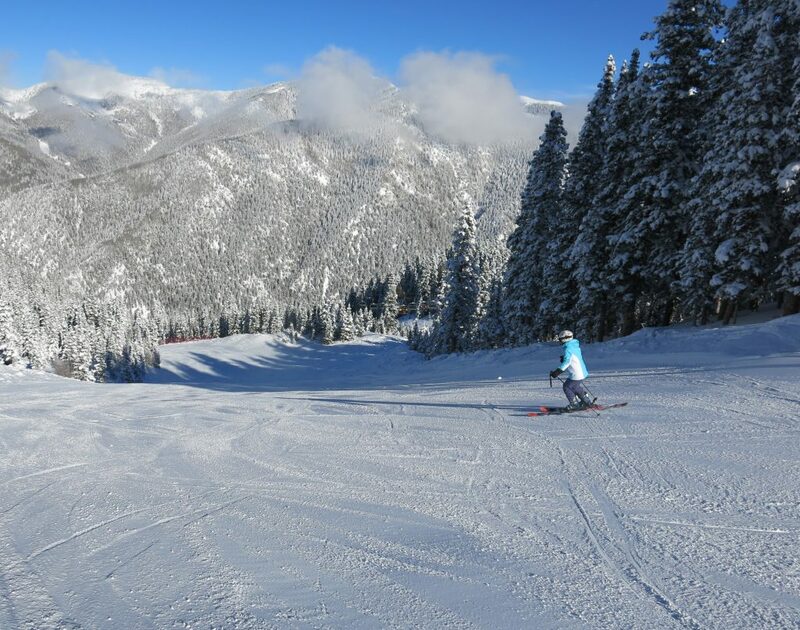 Taos is one of my all-time favorite resorts and we will certainly go back. It’s an experience I feel needs to be repeated every few years to get recharged by the true authentic old-school ski culture and no-mercy steeps.